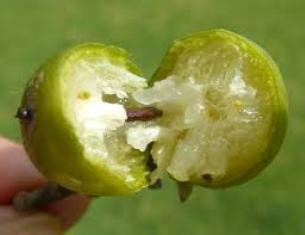 Jackal berry is a wild relative of persimmon growing in Africa. It is sometimes also called African ebony. A jackal berry can live for more than 200 years. This tree is widely distributed throughout the eastern part of the African continent, from Ethiopia to the south of Swaziland. It grows well in areas with adequate water and little or no frost. 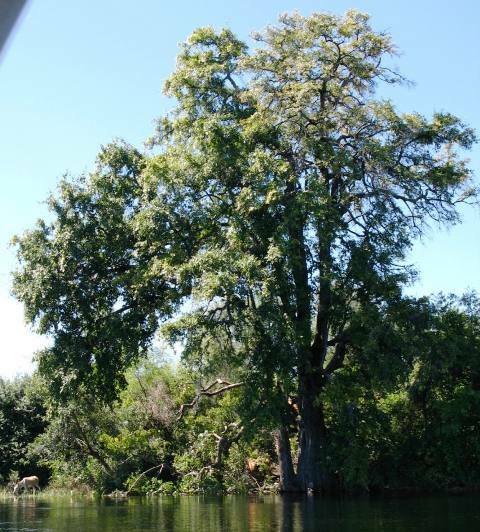 Jackal berry is a tall, upright tree that can reach a height of 25 m, with a trunk circumference of more than 5 m. It has a dense evergreen canopy. The bark is black to grey, with a rough texture. The fresh inner skin of the bark is reddish. Leaves are simple, alternate, leathery and dark green. The margin is smooth and new leaves in spring are red, especially in young plants. Flowers are cream-coloured and bell-shaped. Male flowers are arranged in stalked bunches and female flowers are solitary. Fruit is a fleshy berry, with an enlarged calyx, yellow to orange when ripe. Jackal berry fruits are eaten fresh. These are also dried for later use. Fruits are relished by indigenous people, especially by children. The juvenile twigs are sometimes used as toothbrushes. The wood is durable and used to make spoons and canoes. A decoction of roots is ingested to get rid of internal parasites such as worms. 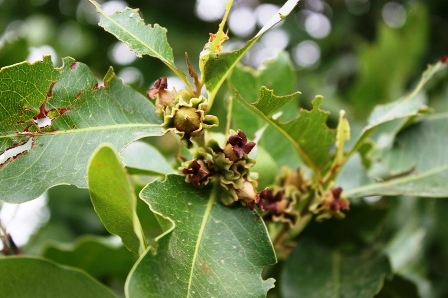 Extracts of various parts of the plants are believed to have antibiotic properties. A secondary benefit from this tree is the flavour it gives to termites nesting around the tree. The termites feed on the roots and humans eat the termites, including flying termites, which are delicious. 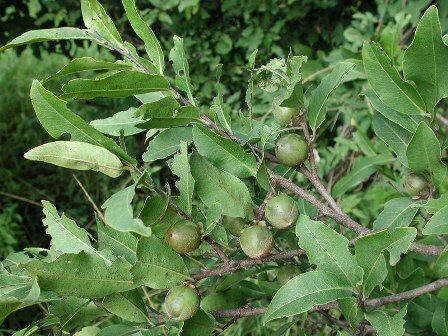 Jackal berry can be propagated from seed, coppice or root suckers. This plant prefers moist areas and grows well in red loam soil. It is fairly slow growing and requires plenty of water to speed up the growth rate. Prune off unnecessary shoots to encourage an upright growth form. It is ideal for large gardens and makes an excellent shade tree.